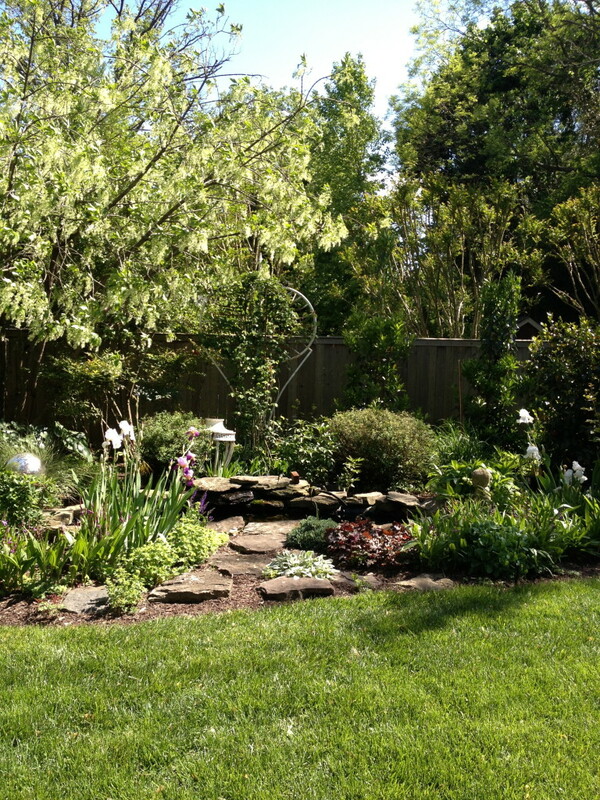 As the season changes I reflect on my spring garden just a few short months ago, all abloom and in perfect shades of green. My outdoor “room” is accessorized with an ancient iron trellis found at my weekly haunt, The Georgetown Flea Market, and placed behind our pond. It hosts roses in spring, flowering vines in summer and fall and becomes simply architectural in winter. It provides an anchor for all seasons. An antique lantern that was once the top of a city street light, also a Georgetown Flea find, adds another dimension closer to the pond. Both are lit at night so the garden takes on an ethereal green glow after dark. I love the different shades of green from top to bottom, the tallest trees, the meet your eye shrubs, and the carpet of grass. I’m thinking green for fall too. Time to bring the garden indoors in all those wonderful hues and textures, pistachio, lime and emerald, in silk, suede, velvet and leather. Great accents for your rooms, and complement all colors. Consider grass green silk pillows, lime cashmere throws, an emerald velvet chair or evergreen suede ottoman. Then literally bring in the garden, oak leafed, magnolia or hydrangea branches while they’re still green. Place them on your entry table, on your sideboard and on your living room console table as summer’s late memories. Soon you’ll move to fall and Thanksgiving hued arrangements to complement your greens.